Bird in nest to bird carrying twig: "Idiot! 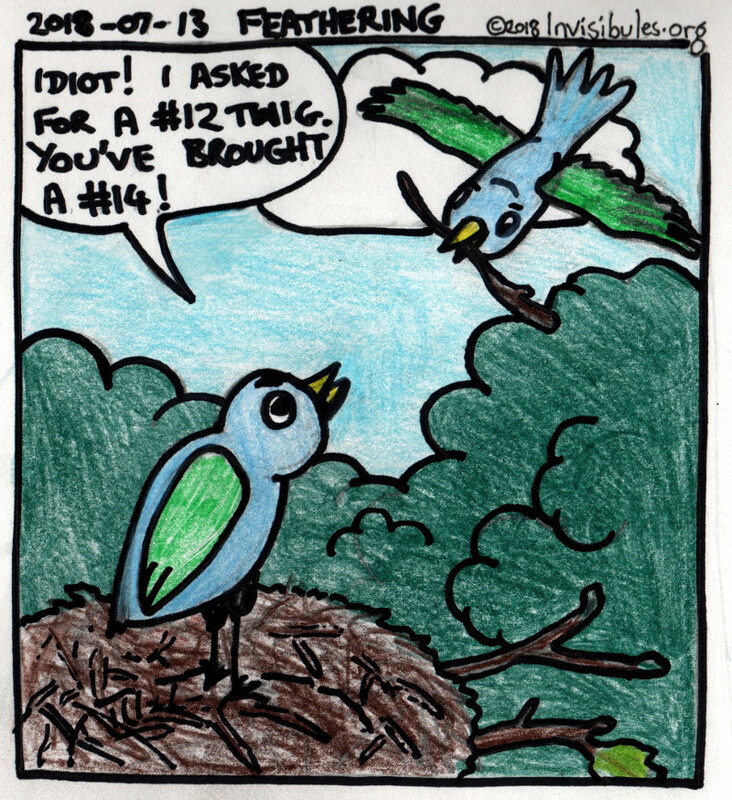 I asked for a #12 twig. You've brought a #14!"
. Often seems that way.